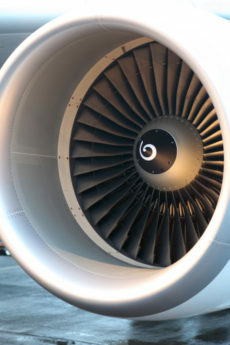 A May 11, 2018 decision by the NTSB reinstating the FAA’s emergency revocation of a Part 145 repair station puts a new emphasis on maintenance record entries; specifically, what maintenance personnel choose to leave out of their descriptions of work performed could land them in very hot water. This decision doesn’t affect only repair stations or corporate maintenance providers. It’s clearly applicable to A&Ps, as well. The decision makes clear that intentional falsification can rest on information left out of the description of work performed, so-called shortcuts that many mechanics routinely take in recording maintenance. The case is so recent that it may yet be appealed to a federal court, so the final ruling could change. But in the meantime, the decision stands. The AeroBearings case-officially, Daniel K. Elwell Acting Administrator, Federal Aviation Administration v. Kornitsky Group, LLC, d/b/a AeroBearings, LLC-involves the FAA’s emergency revocation of the company’s Part 145 repair station certificate for-among other things-falsification of records. I have a lot of issues with the case that was brought by the FAA and how it fits into the new “compliance philosophy.” It seems that the company was authorized by one set of inspectors to do what it was doing for five years. A new inspector-after receiving two hotline complaints-reviewed the company’s authorizations and determined the FAA had been mistaken in granted one of these authorizations. The FAA reinspected the facility and, after 10 months, issued its report and handed the company an emergency revocation on the same day. Something seems unfair about all this and not consistent with the new compliance philosophy. Maybe more went on than is apparent from the initial and final decisions in the case. But it’s always disconcerting when the FAA claims a company is unqualified to do work, but lets it operate for such a long time, and then apparently does nothing to correct the work that was performed for years. The company’s witness testified that the final inspection certification was accurate and that work performed before the inspection-though not recorded-was authorized. The administrative law judge determined that the FAA had not met its burden of proving intentional falsification and reversed the sanction of revocation. (The ALJdid, however, find other violations and ordered an indefinite suspension of AeroBearings certificate.) On appeal, the full Board reversed the law judge and reinstituted the emergency revocation. Previously, however, the Board has required the credibility of the maintenance personnel making the entry to be determined before concluding that the third prong of the test was met: that the person had knowledge of the falsity. This case makes new law in that regard. After dismissing the administrative law judge’s credibility determinations, saying they were arbitrary and capricious (in all my years on the Board, I can’t recall a case where a law judge’s credibility determinations were found to be arbitrary and capricious), the decision states: “This case provides the Board with an opportunity to expressly expand the Board’s ‘willful disregard’ standard…to mechanic intentional falsification cases.” This means that a mechanic can be found to have intentionally falsified a maintenance logbook entry because of omissions he had intentionally made-even if there was no proven intent to falsify. I’ll give you a moment to reread those last two paragraphs. Yes, the Board is saying that mechanics can lose their licenses if they fail to enter work they did, even if there was no intent to falsify. Say, for example, you’re troubleshooting a flight control that is stiff or binding. You check the flight controls but can’t feel anything so you start disconnecting them one at a time. On the left side, you disconnect them and put them back together, finding no problem. You turn to the right side and you find a bad bearing. In the signoff, you write that you replaced the bearing on the right control rod. You do not mention disassembling the left side in your troubleshooting. I don’t know a mechanic who hasn’t signed off a maintenance action like this. I know I have. I certainly had no intent to falsify by my omission. And, yes, accurate maintenance records are critical. And the best policy would be to write up all the maintenance actions. But should this be grounds for a charge of falsification of records-a charge that would result in an emergency revocation-without giving you, the mechanic, a chance to prove that the omissions were not done with the intent to falsify? Until this case is overturned, mechanics remain vulnerable to having their certificates yanked without a fair opportunity to defend themselves.